Tom Barrett, originally uploaded by ABMann. 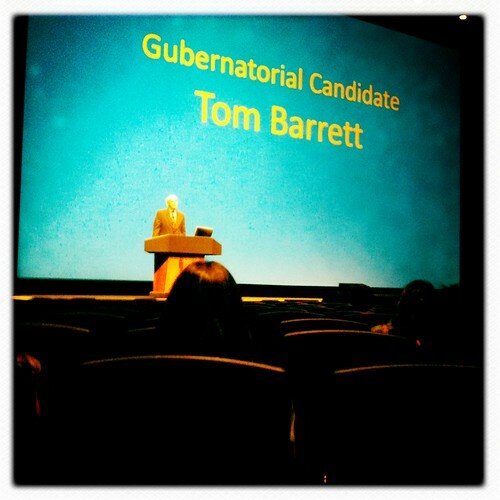 Tom Barrett spoke to us today. Very cool. He was direct and honest, especially over controversial or hard-to-predict issues. I respect a candidate who can say "I want X but reality is going to present X, Y, Z and probably Q."